First and foremost, when lesson planning, I need time. I need time that is productive for me. I know that I am a morning thinker. I can just about manage copies, if they are not complicated, in the afternoons or after school. Maybe some emails. (Maybe not, says the teacher that emailed the wrong parents about a kid on Monday afternoon. #teacherfail.) For me, this means I utilize my morning preps and before school time very intensively. If you haven't thought about your own most productive times, I highly encourage you to do so. 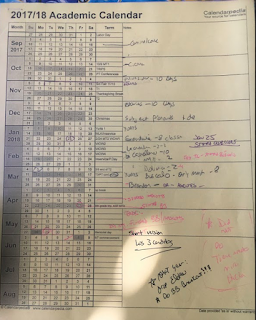 Something else to consider when thinking about when to lesson plan (which I consider to be a very important step in the process) is to set aside time every week to do so. 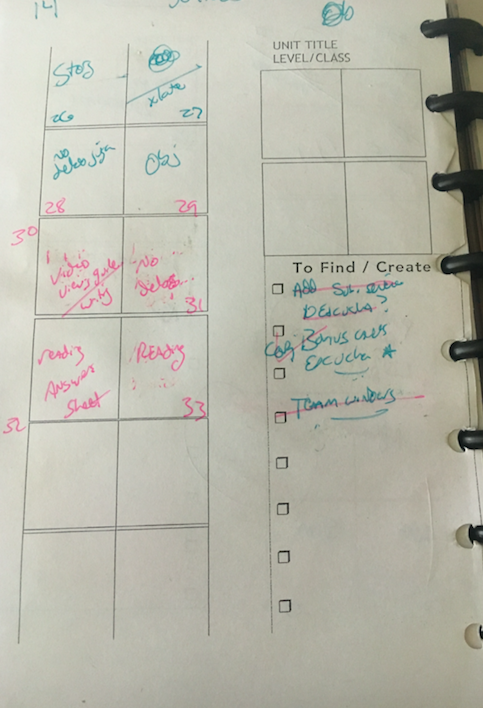 Once I started blocking off my morning prep period and before school time on a certain day for lesson planning, I stopped feeling so overwhelmed. Mind you, this works for me because I power-plan. (That is what I will describe below.) Basically, I do all the thinking, resource gathering, etc. in one go (if possible) but none of the prepping (copying, making manipulatives, etc.). Then, once a week, I power-prep. Angela Watson over at TruthForTeachers.com (and leader of the 40 Hour workweek) is my inspiration and guide for helping me manage lesson planning much more effectively. Her advice is why I really only work 40 hours. Also, it's worth noting that as a TPRS/CI teacher, I still follow a purchased curriculum. (SOMOS, by Martina Bex, if you were wondering.) Now that I have taught most units a few times, I don't necessarily follow it exactly as written, (as in, I add, drop, create, and personalize more for my context) but it helps me a great deal to have a general idea of what is going to happen. That being said, if I am starting something new that I have never taught before, it looks very similar, but with fewer resources I've saved to dig through. And it does take more time. Something else that is important to know: I plan ahead. 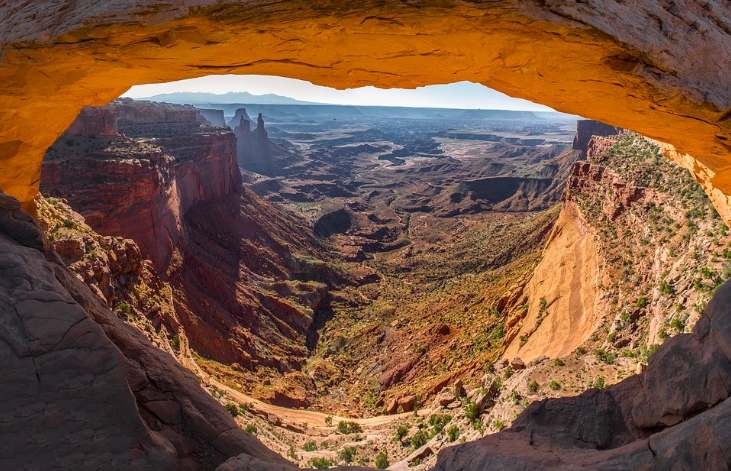 For example, at the moment, I have one group working on SOMOS 1, Unit 2, and they are about halfway through it. Another two classes are doing a long-term Food and Flavor unit, adapted from this post. 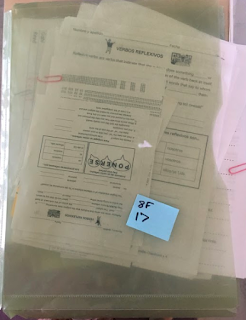 My Spanish 2s are finishing up Somos 1, Unit 21, Aventura de Camping, before their actual camping trip, but they are nearly done with it (it's short but sweet) so I am going to focus on them first, since they will be first to start a new unit. I have a scope and sequence for all my classes that I have created through trial and error, and I *roughly* follow it, depending on if I think it was a good idea or not. I also keep a document like this from Calendarpedia.com every year for each class. A few times of year, I sit down and write in what units we did, and roughly when I started them and when they ended. I save these year to year to see what happened previously. Based on these two sources, I know that I want to teach SOMOS 1, Unit 14 next. If you are feeling overwhelmed by resources, check out this post by Angela Watson. She has a lot of great material and I credit her for helping me be more efficient. For me, this means: collab files from the Collab drive, paper notes from my paper lesson plan, re-reading what I put in my evernote file, pulling any activities from my paper files, and if I am really on top of things, looking at saved posts from Facebook. What it looked like this week: First, I pulled out the paper lesson plan from my binder and all the various things I have for unit 14. I checked out my evernote file, and I skimmed through the Collab drive and found a cool activity that I downloaded. I saw that I had noted that a lot of my kids were using subjunctive clauses (es importante que, quiero que) in their final writing assessment for this unit, but most were not using it correctly. Then I remembered that I went to a fantastic session at IFLT18 on using advanced structures with Donna Tatum-Jones, so I pulled up my notes from that session and read those through as well. Finally, my paper lesson plan had a big sticky that said "escucha activity in file", to remind me to grab the class set of an input-based reading game that I had made previously that is in the manipulatives file. This whole step took maybe 15 minutes. Do I need an assessment for this? Hint: the answer is not always yes. Do I have assessments already? Did I like them? Note: I have made it part of my practice to note when assessments aren't great, or need tweaking. That gets noted in the paper lesson plan, usually on a sticky. It'd be better if I just fixed it (for next time) when grading them, but sometimes I just don't have the mental capacity to figure out what went wrong. 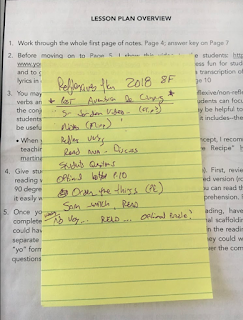 A note like "no advanced option" or "needs scaffolding" usually suffices, and then I have time to fix those when I actually sit down and plan the next time that I teach. 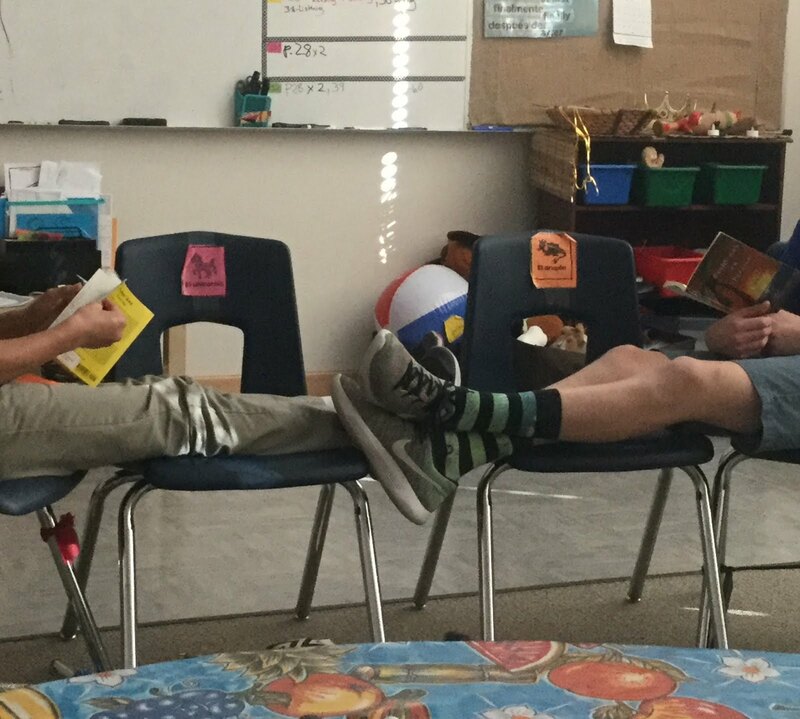 Click here for more about how I deal with assessments in reading and here for writing. What are the reading resources that are going to get glued in the interactive-ish notebooks? What else do I want them to glue in? What are the actual things (activities, tasks, readings, story-askings, ClipChats, songs, etc.) that we are going to spend our time doing? Are any of those resources from Step 1 too good to leave out? 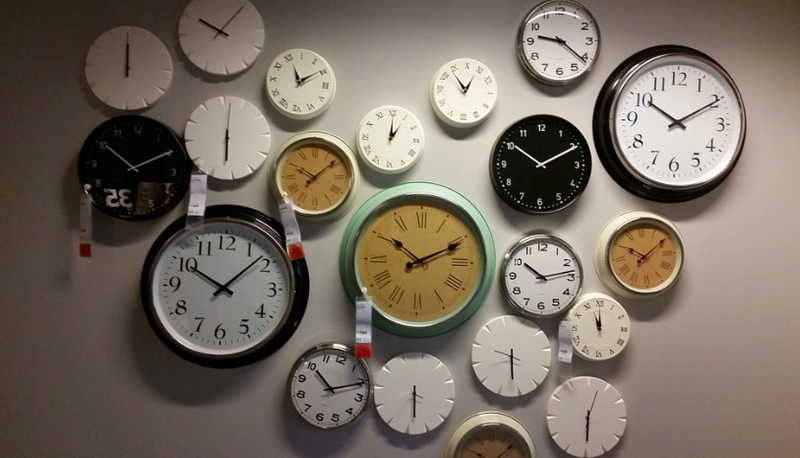 CRITICAL QUESTION: How much time will it take to make those something that is truly input-based and is that a good use of the time I have available? Is it a 5 minute thing where I gloss some words, or is it recreating the whole thing so it works in my context? Is it worth it? 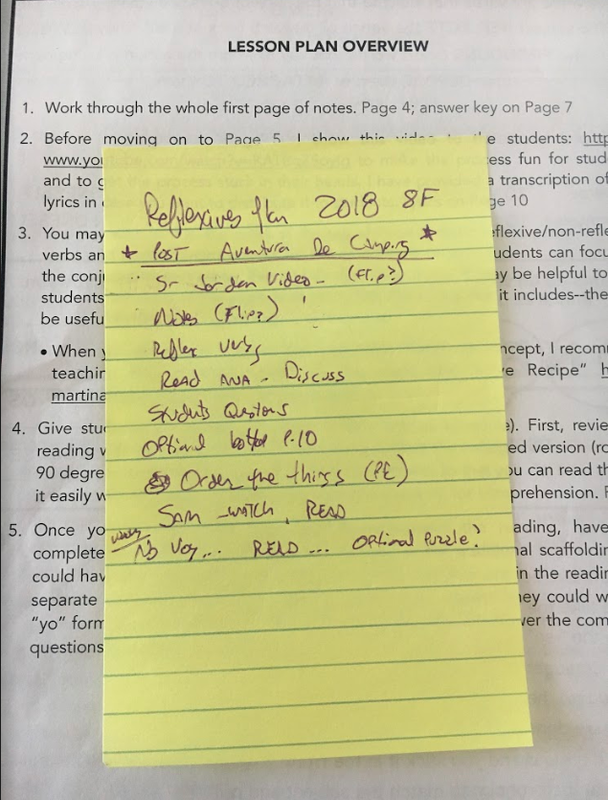 What it looked like this week: For unit 14, I saw that there was a reading and writing assessment included in the unit, and aside from the note about the subjunctive stuff, nothing I really need to do for those. 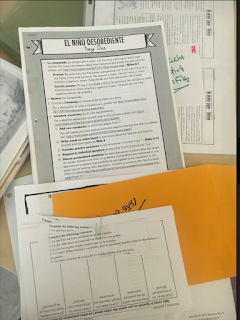 For reading resources, I will be asking a story then typing it up, and the song (No Debes Jugar, by Selena) has an amazing critical thinking activity so that will get glued in. There is a video viewing guide/graphic organizer included in the plans, so we will use that too. This took about 5-10 minutes to go through the included resources. But I really want to try to use more subjunctive clauses with the kids, so I spent some time thinking about possibilities with that. Donna had some good ideas, but what I eventually decided to do was to create a challenge activity for the manipulative-input game. The game is basically a matching activity with a bunch of cards, kids read scenarios and match them together. In the scenarios, someone says something like "Lo que debes hacer es comer menos azúcar." (What you should do is eat less sugar.) I decided it would be really fast to create cards that said the same thing but with a subjunctive clause, so this one would say "Quiero que tú comas menos azúcar." I have a program that allows me to edit pdfs, so I opened that, made a copy of the original game, and quickly rewrote the phrases. My idea is that I will make separate games of these cards and fast finishers can grab them and read/match as well. Creating the activity took about 15 minutes. Deciding what I was actually going to do and going back to my notes from Donna's presentation took about 10 minutes. Copying, cutting, and sorting the activity will take a long time, but it is mindless and I can do it when I have a chance. If you are thinking that I have used up an hour already, well, know that on Monday mornings, I have a block of 2 hours and 15 minutes to plan, even after AM duty at 7:45, so I am still doing ok on time. In fact, I really liked that activity I downloaded from the Collab Drive, so I opened that document and noticed that all I had to do is make a very few changes to it to personalize it for my students, so I did. I did not do it in the most efficient way possible; it took about 10 minutes. It should have taken 5 or less. Oh well. I use a single sheet that I call my Unit Planner for this step. 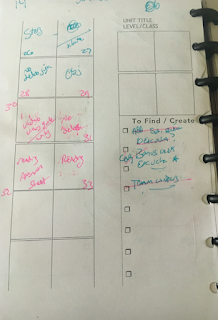 I use it to organize what goes in the notebooks and to keep a list of things to Find/Create. You can download it here. What it looked like this week: Really, step 2 and 3 happen at the same time. I have the unit planner out, and I start writing down what gets glued in and things that I need to create or improve. As I complete them, I check it off. 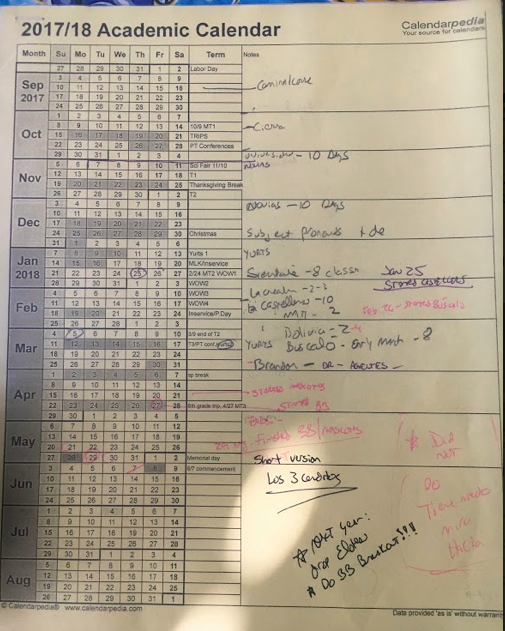 If I am doing something radically different than the purchased day-by-day plan suggests, I start writing the sequence of events on a sticky note that will live on the printed lesson plan. Make master copies for students. Put things in a protective sleeve to keep them together. Make / Modify day-by-day lesson plan packet. Put it all in a big folder to save for Copy Day. What it looked like this week: As I created the challenge manipulatives activity, I sent one copy to the printer to be the master. I did the same for the thing from the collab drive. 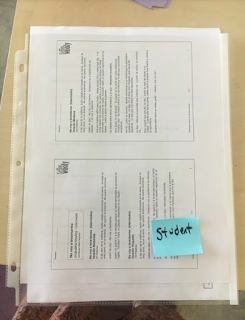 Then, I grabbed my paper file of student master copies, and made sure that I had a master of everything that I was going to give to the students (with the exception of the story- I will type and copy that once we are done with it). I found that I was missing a copy of the song activity, so I sent that to the printer too, then walked over to grab my copies. I made sure I had one master copy and one copy to add to my day-by-day packet, stapled my day by day packet together, and put all the new masters in a sleeve to be copied. The day-by-day plan, the manipulatives, and the sleeve all got put in my Big Folder (which is just a large plastic folder I saved from the trash bin- one of four) to save for Copy Day. I know I will need a little extra time to make the game, and I will need to get envelopes and colored paper from my secret stash of supplies for it, but I will do that when I make the copies. No rush. The planning is done. The copying will happen on Copy Day, when I have something else ready and planned, later this week. Probably Thursday afternoon, when I have no energy but no one is at the copier. Notice that I have not put anything into a day-by-day format at all. And honestly, I won't do that until the day or so before I actually start this unit, as the previous one winds down. Then I will probably note a couple of day's worth of activities- bullet points in my lesson plan notebook, because...I already have the lesson plan materials printed out. All I need in my planner is something that says "start unit 14". If I need more specific information (like, a breakdown of what activities I am going to do each day) I will do them for 2-3 days at a time, because inevitably something takes a different amount of time than I think it will, and re-writing everything (even in my favorite erasable pens) is not a great use of my time. To be clear: when I first started this curriculum, I did write out bullet points for every day, activity by activity. I needed that structure, so if that helps you, do it. If it doesn't, I am sure there is something else you'd rather be doing! This is a format that I really like, by the way, posted by a user (Janice V) in the SOMOS Collab files. I just started using Somos this year and as much as I love it, I've been feeling a bit overwhelmed. Thank you for sharing this! It is exactly what I needed! !